Advertising on Facebook is not a rocket science. Yet, it requires some serious experience and deep understanding of how the social media platform works. If you’re a marketer you know what we’re talking about. Let’s move to the point. How does advertising on Facebook work? Facebook ads are based on bids. Much like auctions, the one who offers the best price comes out as a winner… Almost! There’s a slight difference between an auction and ad bidding – Facebook considers its users too, i.e. delivering the best experience to both advertisers and users. For example, if Facebook decides that your ad is not relevant enough to users’ interests, the ad will not show no matter how high your bid is. Helps advertisers reach people in their target audiences and get maximum results of their advertising campaigns. Provides users with relevant content and cares for their overall experience on the platform (including Instagram). This means that advertisers should craft proper ad content and distribute it the right way if they want it to be shown to their target audiences. Otherwise, they may not get the results they are expecting. There are several different bidding options you can choose from depending on your campaign goals: cost per mile, cost per click, daily unique reach. 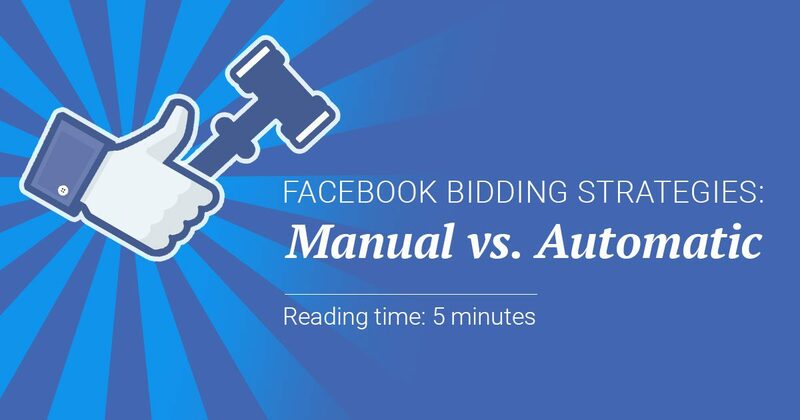 Today, we’ll be talking about Automatic and Manual bidding. As the name suggests, when choosing this option you let Facebook take care of the bidding to help you get the most at the best price. As already mentioned, Facebook cares for its users as well so the algorithm is set to maximize ad delivery to the right users in order to achieve your campaign goal. As a matter of fact, choosing this option definitely works great. Facebook has gone the extra mile to optimize the feature to deliver the highest value possible without hurting anyone in the process. It provides both with what they need – marketers and advertisers with data and customers, and users with relevant content. This option gives you almost all the power to narrow down your budget to the smallest detail. With manual bidding you set your own max bid and prepare yourself to take responsibility of the outcome. It can be said that manual bidding focuses on maximizing profits and minimizing costs. As a marketer or a business owner you might have a limited social media budget so you need to use it wisely. If you have an idea how to work out the “manual bidding” strategy then go ahead, try, test, evaluate, repeat. Remember, Facebook will not overbid you. The social media platform charges only the amount to get over competition, i.e. if you set a bid of $10 for 1,000 impressions and the highest competitor bid is $5, you will be charged only the exact amount you spent on advertising, e.g. $5.01. Of course it’s not always the case but in most of the times you will be charged less than your initial bid. There is no danger of overbidding. 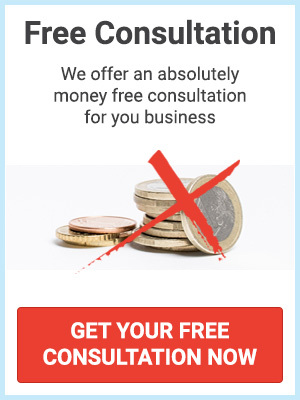 On the contrary, if you do not have big social media marketing budget we’d rather advice you to consider manual bidding carefully as experimenting with bids which are too low might prevent your ads from being delivered to sufficient amount of people. Let’s talk about money now. When you’re considering the daily budget always have up to 25% more than what you’ve decided. This is due to Facebook ad optimization. When it finds better opportunities it shows your ad in order to get more people bring in more value. Consider your daily budget as an average. Then you can set up the maximum amount of money you wish to spend on that campaign, known as lifetime budget. Facebook also helps you in setting up your first bids. It suggests you how much to bid on including a bid range to help you decide how much would be reasonable to pay for a certain action. How to decide which bidding option to use? First of all, the type of bidding depends on your goals. What do you expect to get from the specific campaign? What will you try to achieve? Do you want to set your own bids and try to beat competition by reaching out to more customers? If you want to try manual bidding and feel confident about it then here is an advice on forming your first manual bidding strategy. Start with a higher bid for a couple of days, check the data collected then optimize if necessary by lowering the bid. Setting up a higher bid will push your ads ahead of your competitors and you will reach to more people getting more detailed data and results. Considering what has been achieved within these couple of days you can start tweaking slightly your bids lowering them until you find the sweet spot to get the maximum out of the campaign. If you are unsure how to bid we are recommending the Automatic bidding. Facebook is really good at optimizing campaigns to deliver the best results at the best price. Then you can run a test using both bidding options and see which works best for your business. Yet, consider the fact that manual bidding requires some experience in order to find the right strategy that brings the best results for a certain campaign.